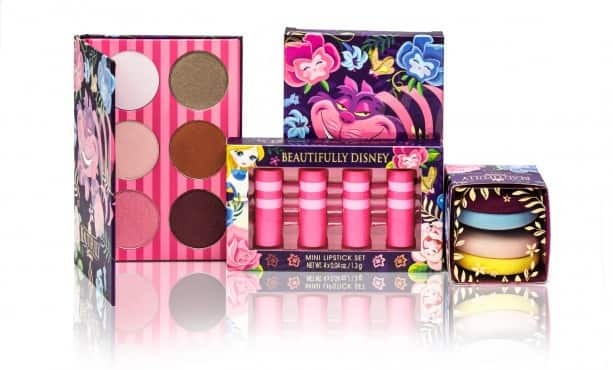 Curiouser & Curiouser, the latest collection from Beautifully Disney takes a cue from the Caterpillar, Cheshire Cat, and Alice herself, with colors ranging from light, neutral tones to richly pigmented and shimmery shades. This new collection will debut May 3 at Disneyland and Walt Disney World Resorts! I invite you to fall down the rabbit hole and escape with me to a Wonderland of whimsy, as you disappear into a daydream and discover pristine pastels with a peculiar twist — perfect for spring. A-E-I-O-You need to check out the eye shadow palette, which has quickly become a staple in my own beauty bag for spring and summer. The six ultra-flattering shades are perfect for a golden afternoon. Are you thinking of painting the roses red? Forget the roses, and paint your lips one of the gorgeous mini-lipstick hues. My pick is Dum De Dum, which is a cool coral shade. Another thing I positively lost my head over, are the two newest lip gloss shades – Miss Priss and Literally Nonsense! Always lightweight, these emollient rich formulas moisturize and condition your lips, never leaving them gummy. I guarantee these glosses will leave you smiling like the Cheshire Cat. As you know, no tea party or un-birthday is complete without the new decadent macaroon sponges, shown above. 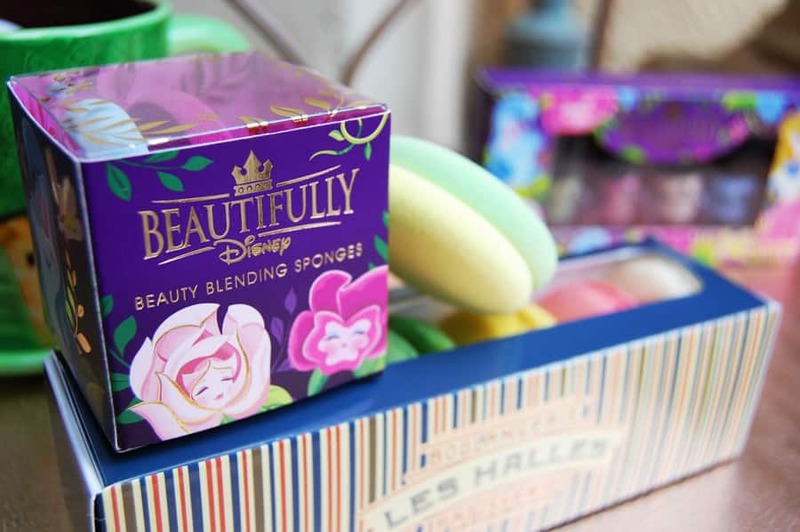 Perfectly sized and luxuriously smooth, these make-up blending sponges will become your go-to treat. Did I find my cup of tea? I think so. As you can see, I went a little mad using all of the nail colors. What colors will you choose to create a look fit for the Queen of Hearts? Here are my recommendations: Tis’ Brillig is a nice twist on neutral with an iridescent textured finish. Or if you’re feeling ‘blue’, This Way, That Way is pedicure perfect. Tip: Here is a recent nail design tutorial. Before you leave Wonderland, one last thing: Purchase a mini lip gloss palette for $19.95, when you spend $50.00 (before tax and after discount) on Beautifully Disney products. Those of you at the Disneyland Resort are in for a special treat. 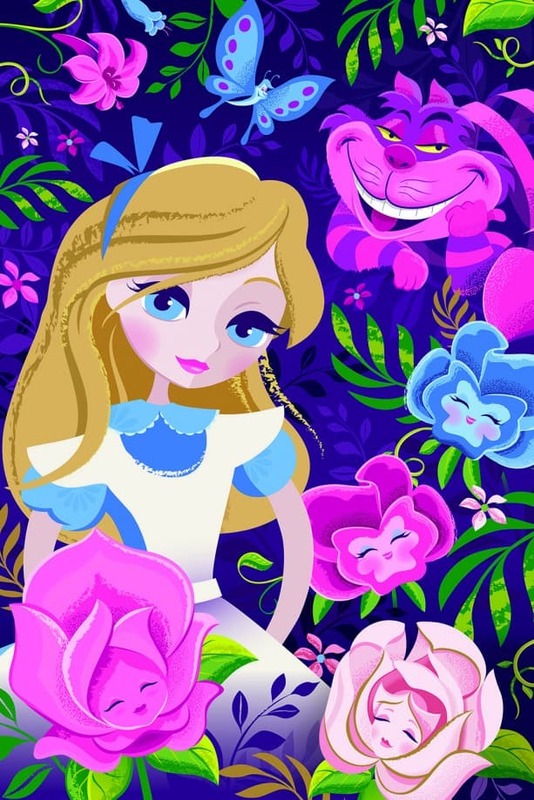 There will be a special signing on May 3 with Jeff Granito, the designer behind the Beautifully Disney artwork at WonderGround Gallery in the Downtown Disney District from 11 a.m. – 1 p.m.
As you can see we’re all a little ‘mad’ here. 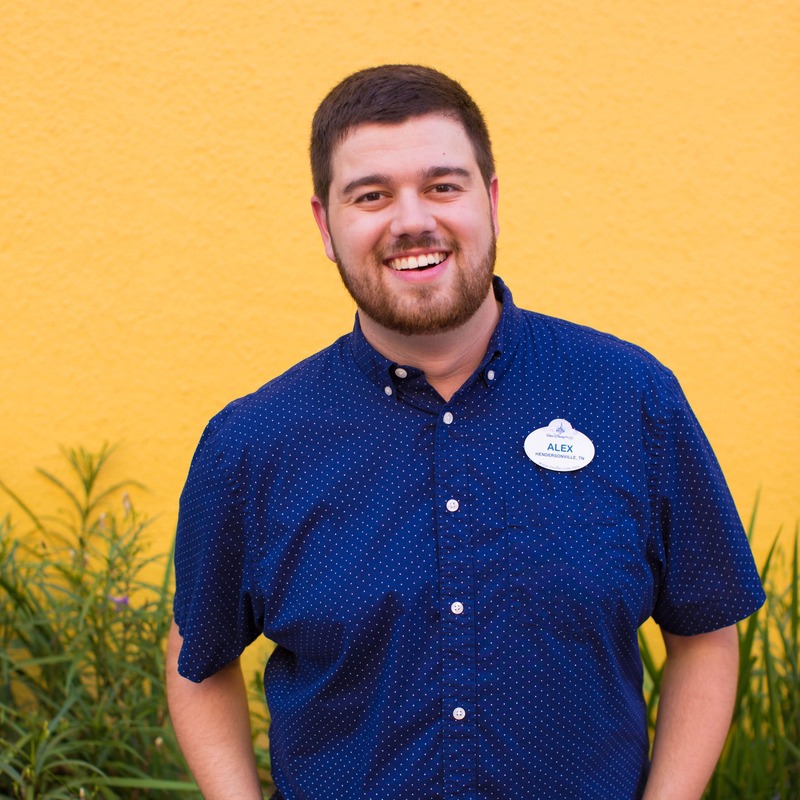 I know that both Rachel and I are ‘curious’ to see what all of you will do with the colors in this new collection, so share your stories with us here on the Disney Parks Blog or hashtag your images #DisneySide on our social channels. CRYSTAL – you can get these mugs at the tea&coffee shop at downtown disney! “THE SPICE AND TEA EXCHANGE” is what it’s called. I’m not sure where else, but I know for a fact that they had it when I was there. This looks amazing! 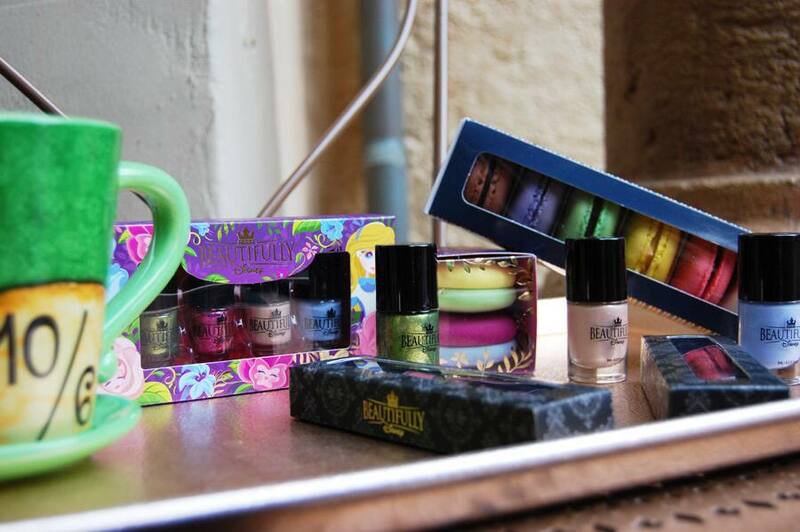 I’m curious though, will this collection be available up until the end of summer at the parks at the very least? Every time I end up trying to get stuff from past collections either a)they sell out quick online or b) it seems to be only sold in stores/parks. 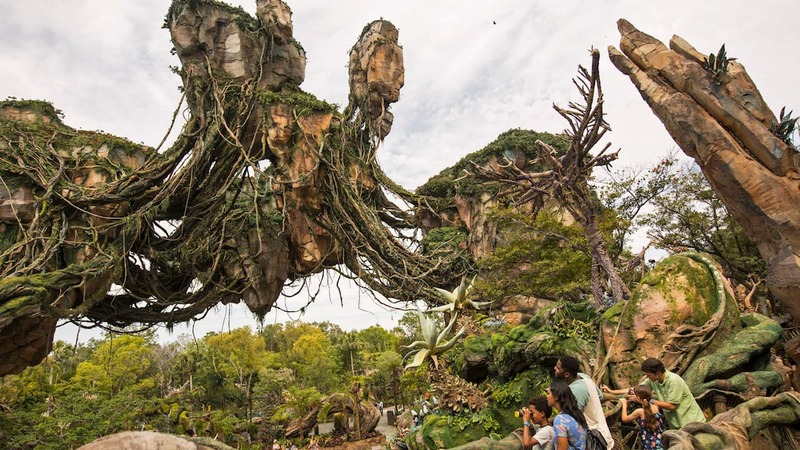 Just wondering since yes I can always try to buy it online, but then again I could try to wait til I go to Disneyworld in August. Diana, this collection should still be available at that time. Be sure to keep an eye out for it when you arrive in August. I will be there in 12 days! So excited. 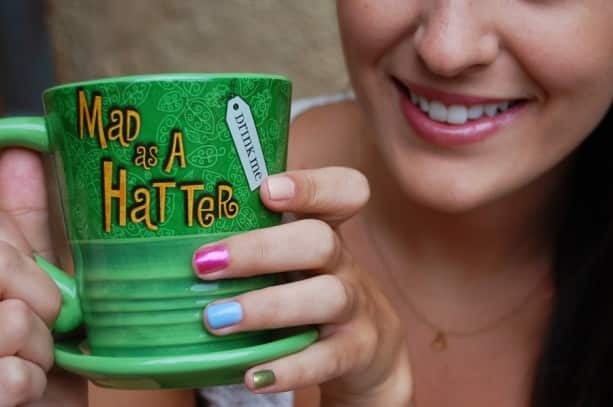 I would love to know where you got the Mad Hatter Mug? I have been looking for one for years. Is it part of the new collection? Any help would be great so I can finally get one while I am visiting the world. The mug has actually been available for quite some time. We thought it was the perfect fit to show with this collection. If you are headed to the Disneyland Resort, be sure to look for it at Emporium in Disneyland park, World of Disney Store in the Downtown Disney District or Trolley Treats & Paint at Disney California Adventure park. If you are headed to the Walt Disney World Resort, as you will see from Diana’s note below, you can find it at World of Disney Store and The Spice and Tea Exchange. Hey Samya! I’m glad you like this collection. I love all the spring colors and as you can tell, Rachel had some fun with it. Thanks for your feedback regarding the full size polishes, I have shared it with the team. Great colors on the artwork and I HAVE to get that Mad Hatter’s mug for my wife!